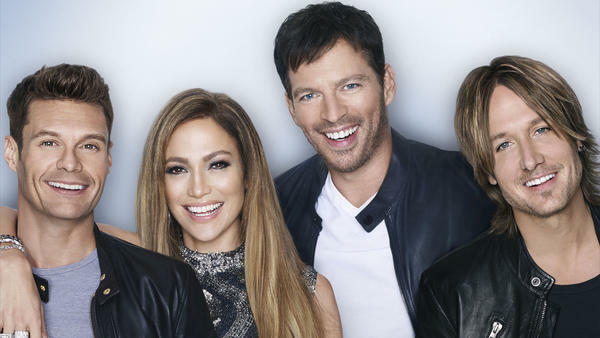 Ahead of its fall programming presentation to advertisers in the afternoon, Fox announced Monday that the 15th season of American Idol, which will begin in January 2016, will be the last. Ratings for Idol have slid precipitously over the last few seasons, but in the words of Joe Adalian at Vulture, "Idol was, for much of its run, the most dominant show on television — by a mile." It's hard to remember now, but there was a time when putting up a show against Idol was close to announcement that it was unimportant to whatever network was airing it. It was the broadcast television version of a stomping monster that took out small cities. It seemed at one time like Idol was a show that would ebb and flow but never die, like Saturday Night Live. But Fox has other plans and other priorities, there's competition from other performance shows and other competition shows, and, as it turns out, very few things are Saturday Night Live. So now, Ryan Seacrest will be the man who only seems to have 99 jobs. We'll have much, much more about fall schedules as this week of TV news progresses.